Today is the New Moon in Gemini and we will be celebrating the New Moon from 7pm. The time of the New Moon is 8.45pm London time, so we will be in the energy of Gemini, when we gather today, Wednesday 13 June. Happy New Moon. 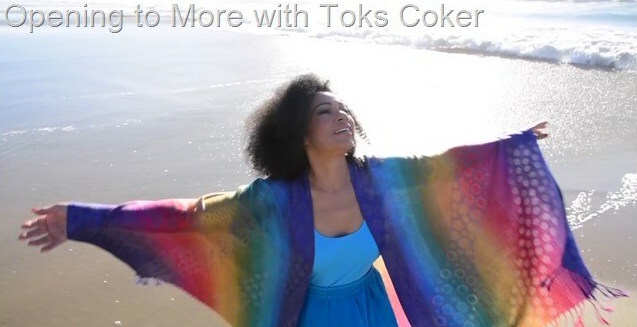 Workshop with Toks starts at 7pm. We will be in the energy of the actual New Moon London Time at 8:45pm. Gemini love to communicate and socialise. They love to be seen, recognised and validated. They are versatile, curious and lively with their actions, thoughts and deeds. Gemini is ruled by MERCURY, which is fast and quick. Mercury loves fast thinking and quick communication. It can be logical and connecting. This makes them talk fast and listen fast. The can move quickly from one location to another, change their jobs, relationships, homes as fast as they change their minds. Mercury craves excitement, fastness, change and immediate gratification. Gemini is a MUTABLE sign, which makes it very adaptable, restless and changeable. They have quick moving eyes and minds. Always alert and restless. They can be changeable – be aware of this quality as it can exasperate you when organising things. They can also be defensive, lacking persistence and patience, always seeking a ‘quick fix’. Gemini is an AIR sign, making them communicative, compromising, rational and intellectual. They are friendly and easy like the cool breeze and quick to more like a fast breeze. Be careful not to throw away the precious old for the untried new, and live to regret it. The symbol for Gemini is the TWINS. The Twins represent the number TWO, communicating with each other, in harmony or disharmony. We have two angels be our sides – reporting everything we do to God. We have two choices e.g. do a good deed or not. We have two similar ideas or two different ideas. Change is always a possibility with the number two. Twin may look alike or they may not. Each of us has a masculine and feminine side inside us. There are always two sides to a story – the defendant and the prosecutor. There are two ways – left or right, OR straight or simply stand still! Two means you can do two things together and at once! Gemini love COMMUNICATION, which is important. They love communicating with people. Communication can heal us or kill us and/or others. Communication can create good and bad energy. It can empower or disempower. Communication can be unpredictable, as they are an unpredictable spirit. How unpredictable are you finding yourself these days? Gemini is all about your thoughts. They love thinking and over thinking. Then they make a decision and take action. Then they change their minds. This can cause lots of pain, misunderstanding, suffering and karmic shifts. Every thought belongs to either good energy or bad energy. Thoughts belong to good entities or bad entities. What do your thoughts belong to? How are your communications affecting you? How are they affecting others? Are you paying attention to your thoughts; and the way you are communicating them to yourself, and to others? Are you gossiping? Speaking negatively and encouraging lies? Are you engaging in negative feelings like envy, jealousy or revenge in your heart? Our thoughts influence us – whether we speak them or think them. We create what we think, so important to think good positive things. Thoughts need to be checked and monitored. Negative thoughts can create negative patterns, which can create a negative future and further create negative karma. We need to own our thoughts and be very conscious of them. How are you feeding your Soul? How are your thoughts feeding your Soul? Feeding your Spirit? How are you thoughts depleting your body? How are your thoughts making you feel small? In what ways could your thoughts feed your Soul? How often are we in denial of our thoughts and actions? Our thoughts have power and momentum. They feed our Soul. Decide to take responsibility for them today. Decide to Feed your Soul good food. Everything is Energy. Where your intention is, is where the energy goes. Where ever our thoughts go, energy goes. Where are your thoughts going? Where are they coming from? Your thoughts proceed your actions. A negative thought, if not controlled, creates a negative action, which hurts yourself or another. How, in control, are you, of your thoughts and actions? Sometimes we are good at monitoring our communication and sometimes we are not. How do your monitor your thoughts? EXPERIENCE – I remember an experience where I was being abused and attacked verbally. I did not expect this and I was in a state of shock. I felt shattered as I decided what to do. I could see glasses shattering around me from her energy. Should I join in and engage and we have more glasses shattering? I had the opportunity to attack and I heard my Inner Voice say – Let her win. I was so surprised I heard this; and immediately I asked for her forgiveness, and said I was sorry to cause her this suffering. I told her I did not know where this was coming from but I received it and I heard it. I told her I loved her, even if she did not consider me a friend or a person of value. I cried in front of her. In doing so, I contained the situation. It was a very difficult thing to do. She looked surprised at my reaction. Not taking it personally, was important. I was going with the flow and I was allowing the process. I was not creating bad karma with her and I was taking responsibility by immediately apologising and forgiving. She was expecting a fight and I made a decision not to engage in a negative transaction, which would have created more bad energy. I realised this must be a spiritual test. This must be a shift in my karma. This must have a very deep meaning. There must be something very needed in my life as well as hers. I called on all the ancestors and asked for forgiveness – hers and mine. I called on past lives, present lives and future lives and asked for forgiveness and healing. I gave gratitude and thanks. I took responsibility on a very deep level for my soul and my healing. It was not easy, but I did it. Perhaps you could practice this yourself when you feel threatened or powerless or shocked in a situation that could escalate. Perhaps you could practice this act of Forgiveness daily? Forgiveness, for me, is the practice of facing the reality of your life or situation; and making a sincere decision to forgive a person and yourself, when something has gone wrong OR when something has the potential to go wrong. Forgiveness in relationships is very important to anchor in more happiness in your life. Forgiveness is important. Forgive yourself. Forgive others. Allow yourself to receive Forgiveness. Allow yourself to give Forgiveness. Introduce into your life the Power of Forgiveness. Allow Forgiveness into all areas of your life and you will be amazed at the wonderful experiences you invite into your life. MANY LAYERS OF FORGIVENESS – Forgiveness has many layers. It can be a pardon, an absolution, a dispensation. It can be a shift in thinking or behaving. It can be a letting go or letting off. It can be an understanding of the situation. It can be influenced by pity or mercy. It could be a legal acquittal. When do you forgive yourself? Why do you forgive another person? How do you know you have forgiven someone? How do you know if you have been forgiven? Do you ask for Forgiveness? Do you Forgive? Do you truly understand the meaning of Forgiveness? Do you say you Forgive then hold a grudge? Time to look at your level of Forgiveness with this New Moon in Gemini. Time to make room for yourself. Time to honour who you are right now on 13 June 2018. Time to really look at your life as opposed to other people’s life. Time to honour your life. Time to make time for you. Time to love you. Time to listen to you. Time to be with you. Time to be with your ‘Twin’. Time to be with the male and female in each of us. Time to listen to your inner voices and your inner twin and know the difference. What new thing awaits you?